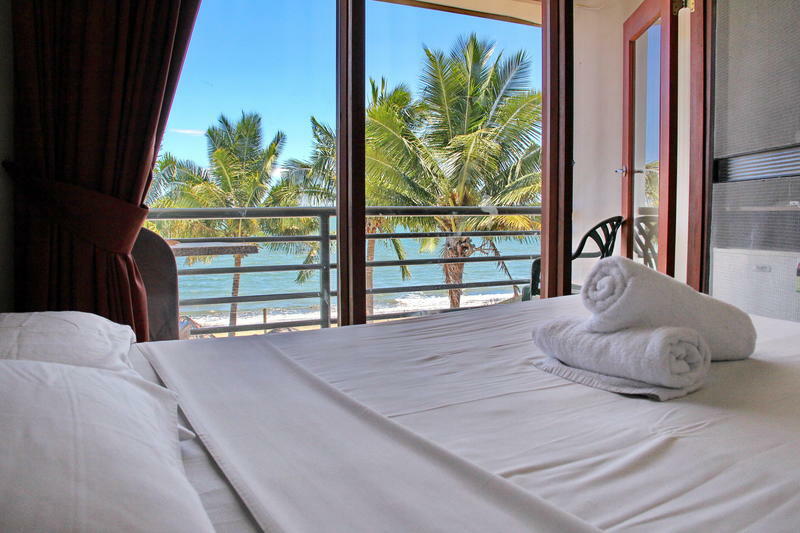 Mamas Tropic of Capricorn Resort is a brand new boutique style resort located on the beach at Nadi Bay and just 10 minutes drive from the Nadi International Airport & Nadi Town. We have air conditioned dormitories and rooms with spectacular ocean views to the famous Yasawa Islands and a rooftop beer garden on the third floor. Our pool is located near our superb bar and restaurant which looks out over magnificent sunsets. All rates include a light breakfast, 24 hour airport meet and pickup. We have a separate travel centre and can make all your onward bookings for island stays, cruises and tours. 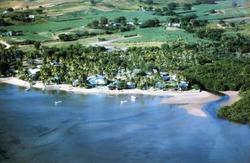 All major tour and cruise companies offer daily courtesy coach pick up and drop off to the Denarau Marina. 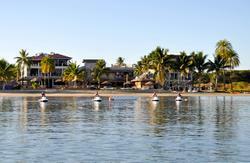 We are located on the beach at Nadi Bay next door to Smugglers Cove and Aquarius Resorts.